Diksha is an exceptional and distinct process through which a Guru transfers his divine powers and energies onto a disciple’s mind, body and soul to make him/her more enlightened, successful and pure. This method not only awakens the seven energy chakras in the body but also results in a neurobiological alteration in the brain whereby enabling the disciple overcome the physical and psychological barriers caused by present life or past lives (karmas). Scientifically speaking, diksha helps balance energy levels by transferring energies from overactive regions of the brain to the underactive frontal lobes so that the senses become liberated or unclouded without the mind’s interferences. It ultimately results in providing clarity of thoughts along with inner peace, happiness, contentment and compassion along with various other benefits. 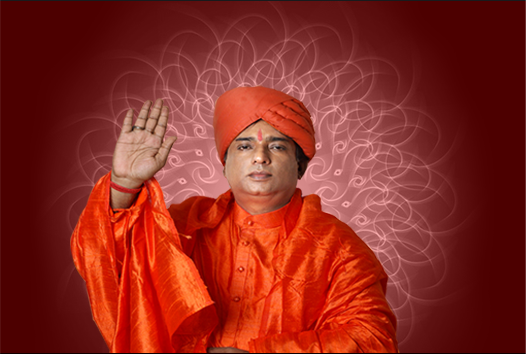 A guru plays a vital role in providing Diksha. The guru is more than just a teacher who imparts education or shiksha as he/she imparts intellect that can take you beyond the dominion of existence. Unlike acquiring knowledge where the disciple puts in more efforts, Diksha is acquired without less or no effort. All that is required by the disciple is to remain receptive with great trust in his/her guru to experience a blissful condition that is hard to achieve otherwise. According to Vedas and Upanishads, a Guru is none other than god in the human form brimming with patience, love, serenity, wisdom and other virtues. Such personalities will be able to attract others with their mere presence just like a flower attracts honeybee or like a magnet attracts iron. Our living Gurujee - Jeevanacharya is such a personality who has transformed numerous lives with his Diksha. The pure energy originated from him brings about a great change in the personalities by eliminating negative and evil tendencies to bring forth a spurt of positive and innovative powers in them that persuades them to reach great highest in both material and spiritual worlds. During Diksha a profound energy transfer takes place from the Guru to the disciple. It is not restricted to any one form and greatly depends on the giver and the receiver. Diksha can be offered through eye sight also known as Nayana diksha, word or mantra utterances and via touch or sparsh diksha. But for a living gurujee like Jeevanacharya it is not limited to the above mentioned means for he has the ability to connect with personalities across continents, across mediums and even spaces via telepathy too. When the receiver is highly attuned with the guru even a slightest glance of the guru is enough to transfer positive energy that can heal, boost intelligence or awaken spirituality. It is a known fact that Sanskrit is revered as the cosmic language that can create vibrations and when collectively uttered in the form of mantras produces powers unknown to many. It has been found out that diksha given in the form of mantras can penetrate bodies and souls to bring about changes in the receivers. Hope you have heard of noted healers healing the sufferers through physical contact or touch; the same concept is followed in Diksha too for transmitting mystical powers by the guru. Normally, a guru while providing Sparsh or touch Diksha would touch the disciple in the crown or forehead to invoke the heart, head and brow or bliss chakra. It works on all levels including the physical body, unconscious and conscious mind. Diksha though a supernatural process, can be explained scientifically to a certain extent. It is known to follow quantum theory’s entanglement principle that deals with energy particles or matter that can get linked with each other and interact in a conventional manner irrespective of their positioning and distance. During Diksha, the same principle is followed where the guru transfers his energy or powers to the receiver in the state of “Entanglement” (when both the personalities are in sync with each other) leading to a bio-memory imprint in the receiver that is similar to the one of the guru. Sometimes due to energy leaks in the receiver repeated dikshas might be required till it becomes a permanent pattern sans negative energies or patterns that the receiver would have accumulated across various lives or past karmas. As explained earlier in the above paragraphs, the benefits of Diksha is not just limited to physiological changes but psychological too. According to Neuroplastic science, brain is capable of creating new pathways and grooves providing great scope for change. This is what happens after diksha where new bio-memory is created; awakening the brain to freed itself from unclear thoughts and imprints. Other benefits linked to Diksha include awakening of the DNA, providing expression to the deepest desires, enabling karmic reprogramming and cleansing and ultimately a liberated self. According to medical studies and findings, a normal human being has DNA consisting of 12 strands with only 2 active strands while the rest remains dormant. But, in an enlightened soul like Gurujee Jeevanacharya all the 12 DNA strands would be active and will be able to awaken the dormant DNA strands in others. In this awakened state Jeevanacharya will be able to transmit all his bio-memory patterns including consciousness, knowledge and positive energy easily making the recipient confident, happy, powerful, focused, alert, improved memory capacities and multi-tasking. Findings also revealed that the altered genes were highly immune to even diseases like cancer, rheumatoid arthritis, asthma, fibromyalgia and other chronic types. Each and every Diksha session is aimed at karmic reprogramming and cleansing. The outburst of positive energy from the guru not only cleanses the recipient but also reprograms his body, mind and soul free from any karmic negativity, sins and clutter. An intense bio-memory is created making the recipient literally aware of the transformation he/she has undergone. The Diksha process is so intense that it can bring forth a person’s real, hidden desires out in open and at the same time empower those desires become a reality. Desire could be anything, it could be to become a leader, a billionaire, an influential personality or even wish to see the almighty, whatever it might be, diksha helps you to achieve all. A person could be highly knowledgeable or spiritual, but to become a master diksha or initiation from a Guru like Jeevanacharya is very important. You need not have to do anything; our guru will do the necessary provided you allow him to do so. It is nothing but surrendering before a highly conscious and powerful bio-memory like our gurujee’s who will simply change your lives with his grace, in just a matter of seconds. If individuals after Diksha are evaluated scientifically you can see improvements in their cellular energy levels, physical immunity and health, emotional and psychological wellbeing, brain’s neurological functions, genetic makeover ( if necessary) and liberation of extraordinary skills. When Diksha is offered in a group, it involves a cohesive set of individuals in a serene mood of receptivity and meditation, each resonating in unison with each other. The group becomes a big organic unit connected with Gurujee Jeevanacharya. The energy thus transferred reaches everyone at the same time but in multiples. For instance if you are getting Diskha as part of a 10 member group you get 10 times the power and energy in one session itself for your bio-memory will be impregnated with 10 different individual’s bio-memories and skills as part of the learning process during the highly receptive state and ideally safe environment. The group energy will be very fierce that most of the participants in the group will receive diksha instantaneously even prior to touch, speech or glance. Who is eligible for diksha? Does it incline towards any specific belief? Anyone including elderly and children are eligible for diksha. However, pregnant women after their second trimester and individuals suffering from chronic psychological illnesses will not be suitable to receive this potent energy. Diksha – universal energy is free from all dogma for it does not pertain to any particular belief or religion, stature or geography. What would I experience during diksha? Actually, personal experiences vary from one individual to another. Some might experience a subtle energy spurt in them while others might experience a stronger one. It can range from a mild tingling feeling felt in the body to an energy fountain bursting open or flowing all over the body. There are even people who does not feel anything but feel a certain change in the way they think and behave after diksha. Well, it is not important what you feel but what matters the most is the quality of life you will enjoy after the process. Your guru will take care of you, unconditionally and the only thing you need to do is to completely believe in him and surrender yourselves to him without any ego, the rest will be taken care of automatically. How will be the diksha be given and for how long? The Guru will decide the process of Diksha and the method. The duration widely depends on the energy channels and receptiveness of the receiver. It can happen in few days or even in few minutes, the more open the energy centers and channels, the better the process. Jeevanacharya will pronounce the time duration and frequency upon contacting the receiver and if necessary might advice meditation, pranayama and yoga to improve the power and speed of diksha. What kind of changes can we expect after Diksha? After Diksha, you will experience an unbelievably, impulsive transformation at all levels including enhancement of intelligence, acquiring astounding healing powers and even experiencing supernatural incidents. Is it necessary to come in person to receive Diksha? Though not necessary, as Jeevanacharya can establish connection with his disciples from anywhere, anytime, it is better to come in person and enjoy his grace, love and blessings. After Diksha will I become a detached from normal life? Well to be honest no. The ultimate motive of diksha is to improve the quality of life, physically and mentally. How to get in touch with Jeevanacharya to get diksha? It is very simple and easy. All your wishes will come true. There is an online appointment form for Diksha available in our website. Anyone seeking his blessings and diksha need to simply provide all necessary information such as name, email id, phone number and other details including the type of diksha required. Jeevanacharya will contact you as soon as possible and provide appropriate solutions. In Vedas, JyotishSashtra is descrided as "third eye" in which there is an unification of all Tenses (Past, Present & Future). 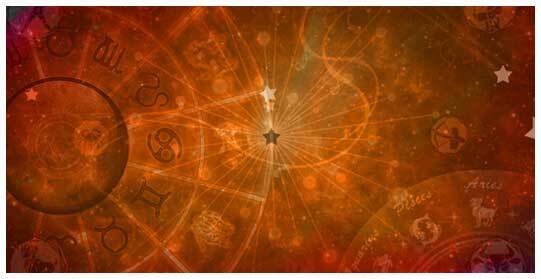 Therefore Jyotish may be regarded as 'Astrology', We have certain rules, Principles etc and each and every step taken is very much systematic so, It is a science.Art is a way of doing work with experience and dexterity. Let's stay in touch. Subscribe to our newsletter to get the weekly updates of Swamiji ‘s Programes, Events. Jeevanacharya is an embodiment of the almighty himself, who through his awakened self sees the almighty in all hence shows the right ‘way of life’ to overcome misery or problems of all kinds. His personalized and meticulous approach towards remedial measures and selfless attitude has won him accolades and repute from all quarters of the globe.